EVGA is launching the new GS/PS PSU series. These power supplies follow the EVGA tradition of uncompromised power and performance, so we upped the ante and made it nearly SILENT. The GS/PS series of PSU's offer superior performance, Gold and Platinum level efficiency and extremely low noise levels making it the perfect PSU for a sound conscious environment. These power supplies also feature ECO mode meaning the fan will run only when necessary further reducing noise level and power consumption! 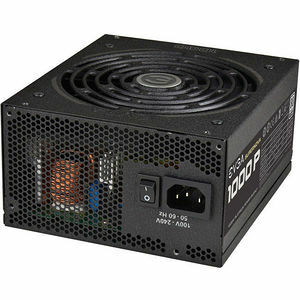 Backed by a 7 year Warranty and Japanese capacitor design makes this PSU the right choice for efficiency and noise level today, and will be with you well into tomorrow.